Don’t just play - belong! 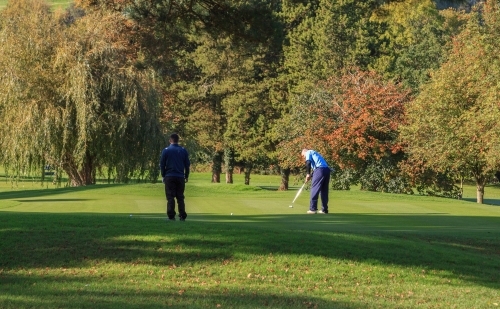 Membership at Lilley Brook offers so much more than simply playing the game. As a members club we provide a supportive, inclusive and welcoming environment for everyone. Traditional full and five day memberships. Reduced subscriptions for under 30’s and over 80’s. Academy membership - ideal for those progressing from the “Get into Golf” programme. Trial membership - for those new to the area and looking for a Club or seeking to move from your current club. “foodie” events add to the fun of being a member. and fine dining, provided by our caterers. There are no joining fees and for the main categories of membership an instalment plan may be available through Premium Credit. Membership can start at any time of the year and is charged on a pro-rata basis. If you would like more information about the membership options please contact the office (Open Mon - Fri 9.00 to 5.00) or complete the enquiry form below and a full membership pack will be immediately emailed to you. Alternatively, please arrange to visit to allow us to show you around, book a complimentary round and answer your questions or please complete and submit the Online Enquiry Form below and we will contact you. Lilley Brook Golf Club is a Community Amateur Sports Club and is open to all of the community including those on modest or low incomes. Those who wish to take advantage of reduced price memberships must apply to the Club Manager and demonstrate that the full cost of membership would not be affordable to them. "I am just writing to say how welcoming everyone has been at Lilley Brook Golf Club. This includes staff, committee members and all members that I have met over the last few months. The club professional has been very helpful. I am very pleased at the regular news updates we receive and the way in which the club maintains a very scenic course, including efficient remedial works to some greens that needed drainage improvement. The green treatment has been carried out very well and it is great seeing this proactive work having such a positive effect on this lovely course."